The average price of a wedding dress in the United States is just over $1,200, though the final cost depends heavily on the geographical areas. According to statistics published in Huffington Post, brides in Manhattan spend an average of $3,027 on their gowns, while those in Alaska spend a comparably affordable $804. Of course, this major expense has come to be expected, and most brides budget and brace for a pricey gown. But what if you simply don’t have the money to spend a fortune on a dress you’ll wear only once? Whether you have a tight wedding budget or you’re simply opposed to spending so much money on a single-use article of clothing, there are many more options today than there were in years past. Thanks to a wider selection of gowns online, along with new retailer collections and nontraditional dress options, it’s possible to save a ton on your wedding dress and start your financial life with your new spouse on the right foot. Think outside the boutique, and check out some of your best options in wedding dress shopping to save big. Brides only wear their dresses once, so they spend a premium on a dress that might be worn for a maximum of six to eight hours (from ceremony to reception). Buying a secondhand dress means you get a gown that is basically flawless for 50% or more off the original purchase price. You can look for wedding dresses in local online classifieds, or even in secondhand stores, such as consignment shops. 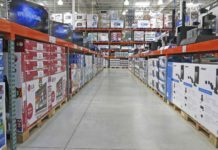 However, the largest inventory can be found online. The prices mean deep discounts. For example, Nearly Newlywed has featured a Vera Wang dress for $1,500 that was originally purchased for $3,000. Just be sure to read all details carefully, since you’ll be purchasing the dress as-is. Look for one that has been professionally cleaned and stored (it should be boxed after cleaning, never hung in a closet to avoid deterioration, yellowing, and moths), so it’s perfect for its encore at your wedding. If you’re not sure where to start when shopping online, head to a brick-and-mortar boutique to try on a few styles to see what you like. 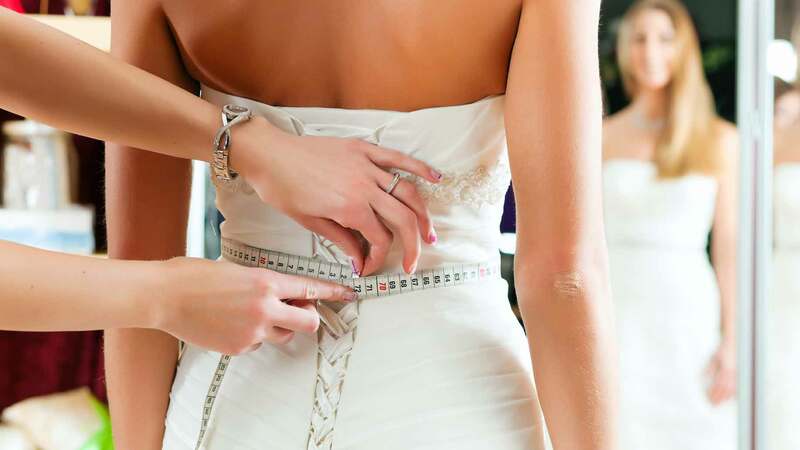 You can also take notes on your wedding dress size, which may be larger than your usual dress size. You’ll definitely need to do some tailoring to make sure a secondhand dress fits you like it was made for you. Wedding dress alterations typically cost $50 to $150 for simple fixes, such as adding a bustle or bra cups to the dress, and between $150 and $300 for more involved alterations, such as adjusting hems and taking in sides. Wedding dress alterations are pricier than typical tailoring due to the fabric and skill required. Sample gowns are those that are tried on by brides in boutiques, so they’ve been gently worn. However, since wedding dress inventory has to be rotated each season, boutiques and retailers sell samples at deep discounts to make room for the latest fashions. Boutiques often have sample sale blowouts, so keep your eyes peeled or ask your favorite boutique if they have a sale coming up. You can sometimes even buy a sample before a sale if you really fall in love with a dress – just ask the boutique owner the cost to purchase the sample specifically. Just remember: When you purchase a sample gown, you’re leaving the store with that specific gown in your hands. You’re not ordering something new, and you’ll be responsible for cleaning and any alterations, since you purchase the gown as-is. Sample gowns might show signs of wear around the hems, closures, and neck, so check carefully and make sure that any imperfection is easily fixed through cleaning and mending (and make nice with a good wedding dress tailor in town). Sample dresses could have embellishments that have fallen off, stains on the hem, or broken closures, which is why boutiques sell them at a discounted price. Still, it’s a great way to snag a designer gown on the cheap if you happen to have champagne tastes and a watered-down budget. Another benefit is that sample dresses can be taken from the store the day they are selected, so you don’t have to wait to order a gown from the designer. It used to be that if you wanted a wedding dress, you had to visit a wedding dress boutique and were subject to its inventory and prices. But a handful of retailers now have their own wedding dress lines, which often cost significantly less than boutique pricing. Retail collections might not have the sheer number of styles to choose from when compared to a traditional boutique, but they’re ideal for the bride with a budget or who simply has better things to spend her money on. Because they’re mass-produced and use cheaper fabrics than a traditional boutique dress, the savings are passed onto the bride. A limited edition, hand-embellished taffeta gown from a boutique definitely costs more than a chiffon number that is pieced together in a retail factory. I love the idea of an BHLDN vintage-inspired gown for a shabby-chic wedding. Not keen on blowing your budget on something that you’ll only wear once? Consider a wedding dress rental service. Obviously, if you have a local service, you can head there to peruse the inventory, or you can check online for services that will ship the dress and you can ship back when you’re happily married. If you’d rather go local, check WeddingWire for rental stores near you – prices vary depending on where you live. If you want to see if your dream dress is available online, check sites such as Rent the Runway (rentals start at $85), Borrowing Magnolia (designer rentals start at $400), and Vow to be Chic (rentals start at $85). In most cases, you pay for the amount of time you want to keep the dress (a three-day rental, for example), and simply use the included prepaid box and postage to ship the dress back to the site when you’re done. The best part is that you don’t have to worry about cleaning or storing an expensive dress. Just be sure to use a bridal dress rental service that allows you to try on the dress and send it back for free if it doesn’t fit. Buying a dress specifically made for a bride can cost you, mostly because retailers know that brides will pay big bucks for their dream gown. If you’re willing to choose a nontraditional dress that may have been marketed for another purpose, you’ll be a unique bride and spend much less on your dress. Consider a cocktail-length gown. Because it uses less fabric, you don’t have to pay as much for a full-length gown (and get to show off your sassy shoes). Or, you can go with an alternative color, such as blush pink or icy blue, for a dramatic effect. Another offbeat option is to choose a vintage dress by checking out thrift shops. You might find a hidden gem that you can update for a modern twist, like having a tailor remove outdated sleeves or shorten the length. Depending on where you shop and which type of dress you choose, you could spend anywhere from $50 for a secondhand tea-length party dress to a couple hundred dollars for a colored vintage gown. Think outside the box and you can come up with something truly one-of-a-kind. Having a dress custom-made might not be as expensive as it sounds. Because a local seamstress doesn’t have the markup between manufacturer and retailer, you pay only for the fabric, embellishments, and the seamstress’ time and expertise. You can check local listings to see if there’s a dressmaker in your area who is willing to take on the challenge of a wedding gown, but you might also have luck online using a site like Etsy. When checking listings, I found unique handmade dresses on Etsy ranging in price from $150 up to around $950. Many dressmakers list their designs on the online marketplace, and you simply send over your measurements to have the dress custom-made to fit your body. Always check seller feedback before you commit to and pay for a dress from a private seller. Look for reviews and pictures from past brides to make sure you’re buying from a reputable dressmaker with plenty of happy customers. And remember to check the turnaround time for your gown – while ordering a ready-made gown from a boutique can take from three to six months, dressmakers can often deliver faster. Check to make sure, especially if you’re on a tight timeline. I was totally in love with socialite and fashion maven Olivia Palermo’s wedding outfit this past summer. Instead of going for a traditional dress, she wore a long embellished tulle skirt with a plain top – a completely non-fussy and modern look for a fashion-forward bride. Buying separates isn’t just modern – it’s also pretty budget-savvy. Buying a wedding skirt and top separately gives you way more choice in where you purchase your wedding outfit, which means you can also adjust your budget accordingly. Grab a skirt from a retail store on the cheap, or shop at a bridal salon that offers separates. You could even alter a vintage gown and save just the skirt if you aren’t in love with the bodice. An inexpensive tiered chiffon maxi skirt would look breezy for a beach wedding, while a more formal all-lace trumpet skirt would work for a more formal occasion. By purchasing the top and bottom separately, you can spend as much or as little on each piece as you want – I found skirts ranging in price from $50 to $200 on online retail clothing sites, eBay, and Amazon, as well as many pricier pieces at bridal boutiques (try an online search for “white maxi skirt”). You can take a page from Olivia’s book and pair your skirt with a chic boat-neck top, or go for a strappy silk camisole, an embroidered top, or even a blouse in a light color to add more personality to your outfit. Separates are making a big splash on the bridal scene. Adopting the look for your wedding proves you to be both fashion-forward and money-smart. In the wedding world, embellishments mean more money. But if you’re not into appliques and bling, you’re in luck, as you can save a ton of money by shopping for gowns that are fuss-free and minimalist. When you head to the boutique for your first time, make sure you explain to the bridal consultant that you prefer simple, classic styles, and have a firm budget. That should help reduce the sheer number of gowns that work for you, simplifying the process and helping you stay in check. Look for dresses made of one fabric only, such as satin or chiffon, and have minimal embellishments. Lace, rhinestones, pearls, and fabric flowers usually mean a higher price, as do multiple fabrics on one dress. Your dress doesn’t have to make a statement all on its own. If you know you’ll be adding accessories later, choosing a more simple gown can help you save money without losing any of those personal touches that make you a unique and beautiful bride. If you have a similarly sized friend or family member, you might be able to borrow a dress for free. My sister-in-law borrowed my wedding dress when she married my brother, and I was happy to share. Of course, since wedding dresses can have significant sentimental value, don’t be offended if a friend refuses. You should also be extremely courteous if someone does allow you to borrow her dress – it should not be altered permanently, and should always be professionally cleaned immediately following the wedding. Just like swimsuits, wedding dresses are in season during the spring and summer, when the majority of weddings take place. Therefore, you can score a great deal simply by shopping off-season sales. Dresses that are sleeveless or strapless, for example, are more likely to go on sale in the fall and winter months – but you could easily add a shrug or bolero to warm up if that’s when you’re getting married. Many chain bridal stores, like David’s Bridal, regularly clear out inventory at the end of each season to make room for new styles, which means you could get a steal on the dress of your dreams. Just remember to give yourself plenty of time for ordering and alterations, if necessary. You might score a great deal in January, but if you’re planning an off-season wedding in March, you run the risk of cutting it too close. Always allow a 6- to 12-week cushion no matter when you order your gown. If you’re pretty up-to-date on your negotiating tactics, you might be able to take a high-priced gown down a few notches. You can always try to purchase a sample gown at a steep discount, but the area in which you have the most room for negotiation is actually in the accessories. Ask for a discount on items like the veil, hairpieces, shoes, and gloves. It’s one of those “ask and ye shall receive” things in the sense that you won’t really know until you broach the subject with your dress consultant. In the majority of cases, consultants work on commission, so they’d rather offer a discount than lose a sale completely. Before you pull out the cash or credit card to pay for your dress, remember that you will pay sales tax, dependent on the state in which you buy your dress. A savvy bride might find that purchasing a dress out-of-state might be a cheaper solution, especially when residing in a state that charges, say, 7.5 percent sales tax (like in California). If you know the dress you want, you might be able to run a quick online search and see if it’s available in another state with lower sales tax to save yourself some money. 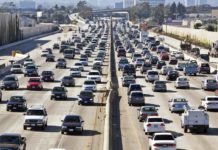 Just make sure the cost of traveling to and from that state doesn’t eat up your savings. Weddings can be a serious financial strain on new couples. If you don’t want to start married life with debt or you’d rather save up your cash for a down payment on a new home, it’s completely commendable. Still, you want to feel special, gorgeous, and classic on your wedding day, so a dress that makes you feel perfectly bridal is a must-have. Luckily, a bridal boutique isn’t your only choice when it comes to putting together your wedding look. 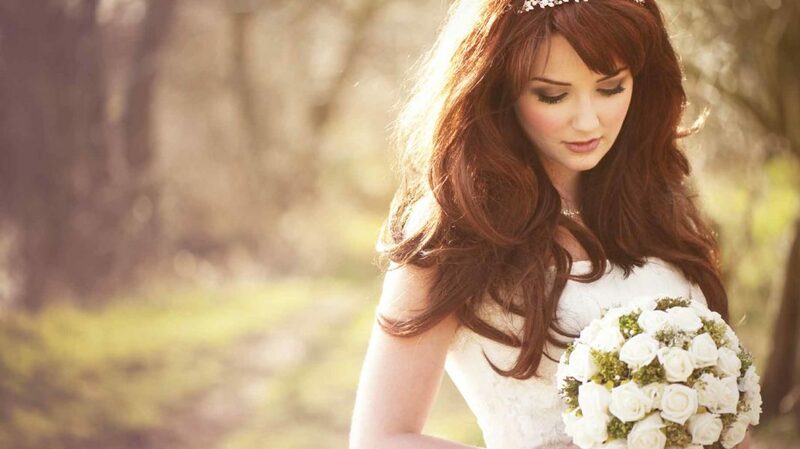 Check out some of your other options and you’ll be able to define yourself as a bride and get the look you want without totally blowing your bridal budget. What other cost-saving measures can you suggest when buying a wedding dress?